Waterfit for your best tap water. Water is the prime essential for life, whether human, animal or plant. The human organism comprises about 60-70% water, and needs water daily, about 2-3 litres. Heat or physical exertion may increase this requirement. As a person grows older, he or she experiences a reduced subjective need to drink water, independent of the body’s needs. Partial desiccation is the result, the skins becomes increasingly wrinkled. Hence, water over and above the thirst-linked requirement to drink should be supplied to the body. Natural spring water loses its vital properties in transit from source to consumer. Forced into straight-lined piping, the water’s natural tendency to swirl is suppressed. Pumps also destroy the natural structure of water. Waterfit is constructed to counteract this loss of water quality as far as possible. The purpose of Waterfit is the maintenance and enhancement of water quality. The “mastermind” behind Waterfit and Ensatec is Magister Wolfgang Jordan. 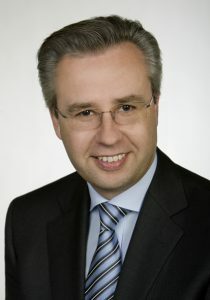 After completing his business studies at Vienna’s Business University followed by extensive training in environmental studies at the Institut fuer Technologie und Warenwirtschaftslehre, he devoted himself to the topics energy efficiency, renewable energy sources and energy consultancy. After senior positions in the line of environment/waste disposal and recycling, Mag. Wolfgang Jordan specialized in the sustained improvement of water quality for private and commercial use. Waterfit is the result of this own wish to enjoy fresh and clear spring water on tap at home. It was clear in his mind that for vitalization and calcification minimization the device must not require an external current source or chemical additives or salt or a salty taste to achieve the desired ends. For this reason, only natural and purely physical methods are employed in the Waterfit appliances. As managing director of Ensatec, Wolfgang Jordan is still today central to the ongoing research and further development of the well-proven Waterfit appliances for drinking-water processing. His commitment backs up the comprehensive Waterfit guarantee of quality! Water quality approaches that of fresh spring water. Tap water is activated and invigorated. Waterfit causes calcification minimization and greatest natural lime protection. Waterfit makes water an enjoyable food again. Waterfit puts enjoyment back. Enjoyment rises, costs will fall. Enjoy also more while showering with Waterfit Air Shower. And costs will fall. And water will be saved. Examined, convincing and of highest quality, as usual. Furthermore, as energy savings professionals we can also minimize your energy costs (electricity, gas) and fixed costs. Our aim is the protection of resources, to optimize energy and to raise the degree of energy efficiency in the private and the business area. We need to save our planet. Our children will thank us. Ask us, we advise you gladly.